El Chorizo. If the hand-audit doesn't match it, everyone can tell. El Chorizo. If the hand-audit doesn’t match it, everyone can tell. No one will be surprised that Juan and I don’t really agree on how the opposition should respond to what is, by all accounts, a hideously one-sided, partisan chavista CNE. Because, to be clear, virtually no one in the opposition thinks CNE’s board is even remotely impartial. We just disagree on what to do about it. For me, the key insight is that Venezuela’s electoral system is, in a way, the World’s Most Expensive Pencil. Given the paper-trail and the multiple auditing checks, for a voto chimbo to be counted as real, you have to cheat physically, at the machine, at the voting-center level. There is some evidence that this happens. But it happens where MUD either doesn’t have witnesses, or where MUD witnesses are isolated, outnumbered, intimidated, cowed and marginalized. If our goal is better elections with less scope for votos chimbos, with more opposition turnout and with appropriate checks and guarantees that allow us to ganar y cobrar, then complaining about CNE, issuing demands to CNE and pointing out the obvious about CNE won’t really bring us any closer to meeting those goals. 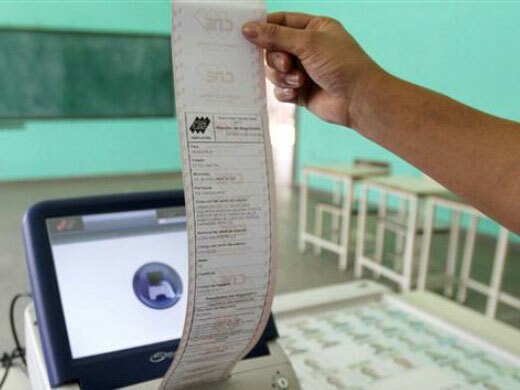 What gets us closer to achieving those goals is recruiting, mobilizing, training, supporting and empowering witnesses and volunteers in the 5,000+ voting centers MUD has already identified as at risk for abusive/intimidatory tactics by the chavista machine. Because that’s where the problem is, at the centro de votación level. When our people are there, at the voting center, organized and empowered, getting votos chimbos into the mix becomes hard, hard, hard. Arguing that CNE is hideously partial isn’t a strategy. It’s a declaration of the damn obvious. We can’t count on them to solve that problem for us. We have to solve that problem ourselves. And we can. If we work it.